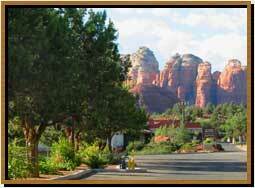 Meetings & Gatherings - Sedona Arizona Luxury Bed and Breakfast Inn, Lodge At Sedona, Grand Canyon, Flagstaff, Jerome, AZ. Facility charge may be waived or discounted if accommodation is booked for five or more guest suites / rooms, Sunday through Thursday. 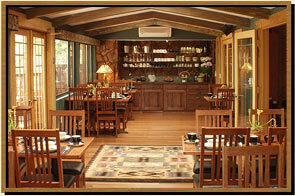 wholesome breakfast and Sunset hors d'oeuvres and beverages are included for overnight guests. If accomodations are booked for 8 to 10 guest rooms, Sunday through Thursday a 20% Discount will be applied, and a 10% Discount for Friday & Saturday Nights. 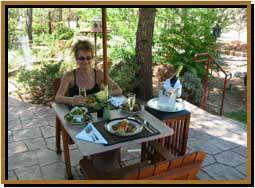 wholesome breakfast and Sunset hors d'oeuvres and beverages are always included for overnight guests. We would require ½ the amount of the total at the time of booking. We also require a 60 day cancelation policy. If you were to cancel inside the 60 days your entire deposit would be forfeit. Cancellations outside of the 60 days there would be a 25% cancellation Fee.